Well, the calendar may say that it is September, but I figured it is time to write my "Miss Mass Wrap-Up"... better late than never! I can honestly say that the Miss Massachusetts 2012 Pageant was the greatest experience of my life. Not only did I have the opportunity to represent my passion and platform, Fit for Success, but I was able to meet 15 incredible friends. I learned how to multitask between nursing school, appearances, exams, dance practices, paperwork, exercising, fundraising, and eating right. I learned to enhance my life in SO many ways, especially on how to make my body a healthier one which led me to feel more confident about myself. I learned how to be more poised on-stage and in my every-day speaking, and developed a further passion for the Miss America Organization. I learned that my fellow "competitors" are actually the kindest, most dynamic and intelligent group of women from across the state of Massachusetts, and I felt completely honored to be part of that group! I accomplished my goal of making it into the Top 9, and was thrilled! Most importantly, I am SO amazingly proud of Taylor Kinzler, our new Miss Massachusetts who has already done a BEAUTIFUL job representing our state! Here are a few pictures from the competition! On-Stage Question! I got asked about the effect of advertising on the childhood obesity epidemic in America! After months of exercising and avoiding my favorite cookies... the Lifestyle & Fitness competition! 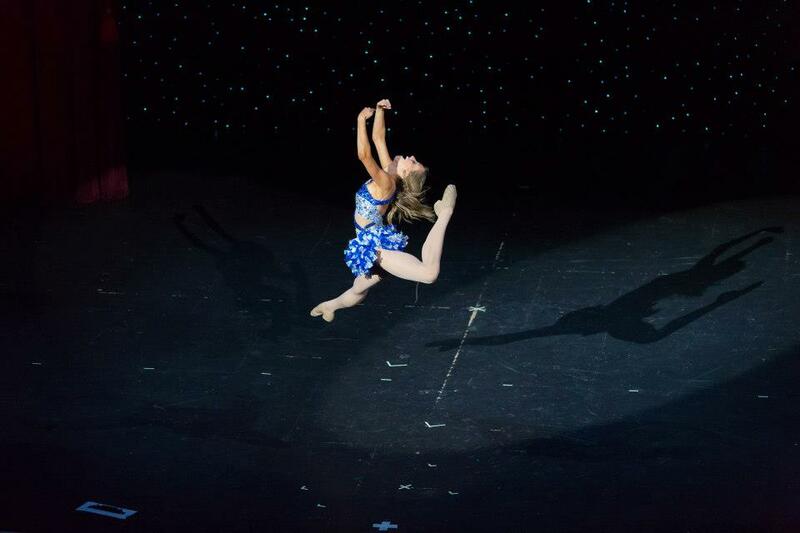 My talent- Jazz Dance to "Monkey Back"
Thank you Glitterati Salem for helping me find the perfect dress! getting called into the Top 9!! SO shocked! 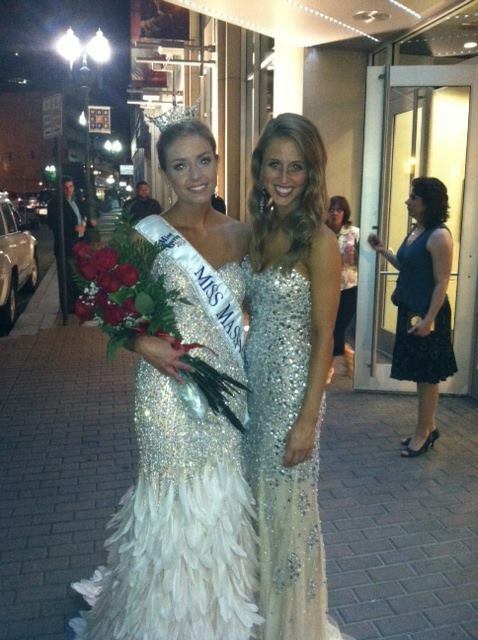 our incredible Miss Massachusetts 2012, Taylor Kinzler! 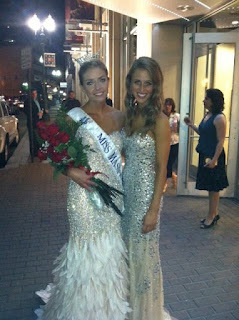 Since Miss Massachusetts, my summer has been a whirlwind! I was as busy as a bee working at the Boston Harbor Hotel, perfecting my sports bra/running shoe tanlines, reading books, spending time with friends, traveling to Minnesota for a week to hug my family, and eating a few too many cookies! I am truly excited for a new school year, a new running routine, and a new pageant season to begin! Fit for Success blog followers: MORGAN IS BACK! Stay tuned for more blog updates from now on!